Firecrackers Blog Hop and Giveaway! I am SO excited to be a part of Fat Quarter Shop's blog hop for their new Firecrackers pattern! If you're visiting Little Bunny Quilts for the first time, welcome! My name is Alison and I've been quilting for close to 12 years and I've been blogging here for just over 4 years. I live in Frederick, MD with Park Ranger Husband and my quilt inspector, Clara the bunny. 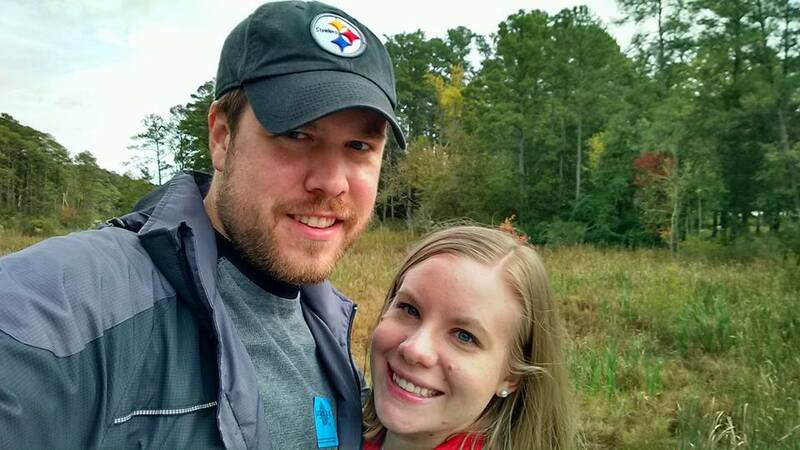 I work at at non-profit by day and am a quilter and pattern designer by nights and weekends! For my quilt, I worked with New Bedford by Denyse Schmidt! These rolls include solid strips, but I only used the patterned strips in my quilt. Since you only need one and a half jelly rolls for the pattern, this worked out perfectly! I love to strip piece so putting the strip sets together and them slicing them up into wedges was lots of fun! -All of your blocks will have bias edges, so be aware of stretching and avoid picking out seams when you can to prevent distortion. -I found it was pretty easy to match up seams and points with this pattern since the blocks are all trimmed to the same size. This is also one of those situations where you can use the bias to your advantage! -I also pinned like a fiend and even though it was time-consuming it was TOTALLY worth it! 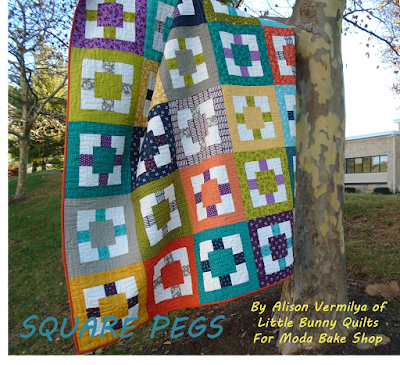 -I think my seam allowance when I made my strip sets was a scant quarter inch and could have been a touch wider so that the fifth strip's piece in the final square was wider. You can definitely use an accurate quarter inch seam! 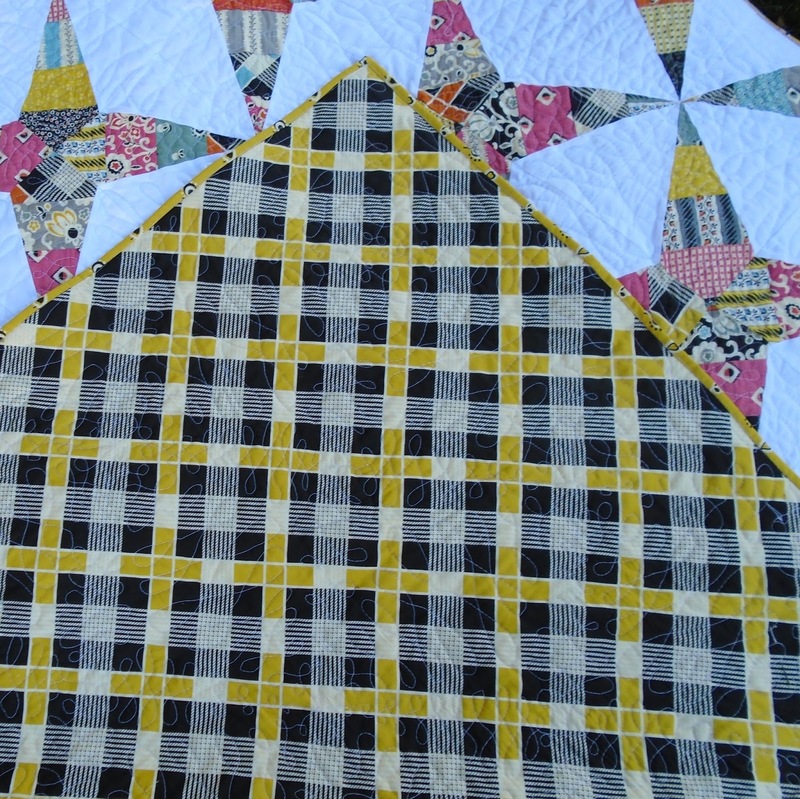 For the backing, I used the mustard plaid print and it looks gorgeous! The binding is also one of the mustard prints. 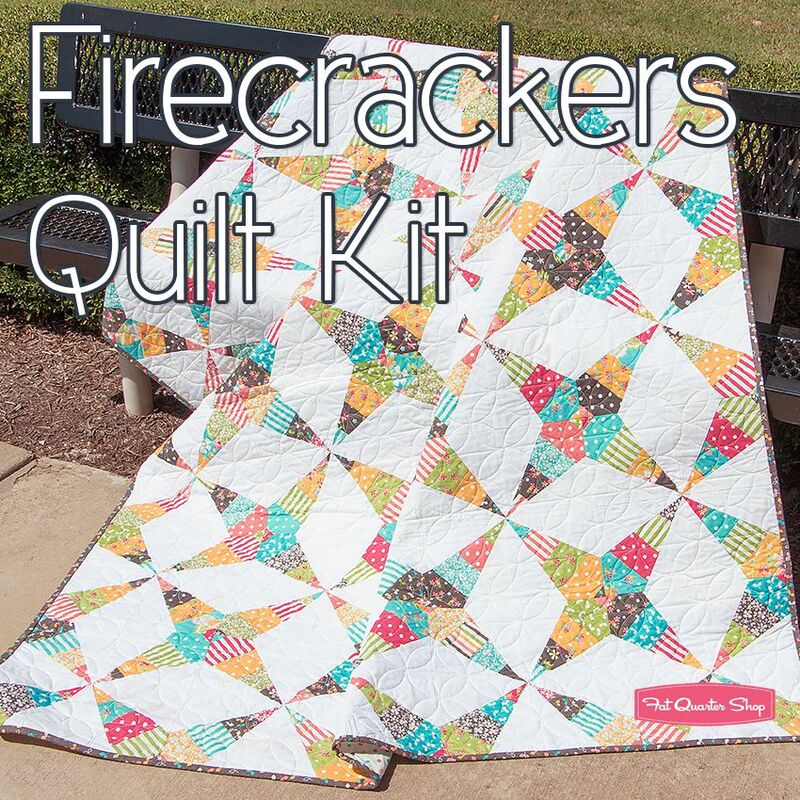 And here are all of the links if you're interested in making your own Firecrackers quilt! Here are all of the quilters participating in this hop -- go visit them to see their versions! And now for a little celebratory giveaway to thank you for visiting! 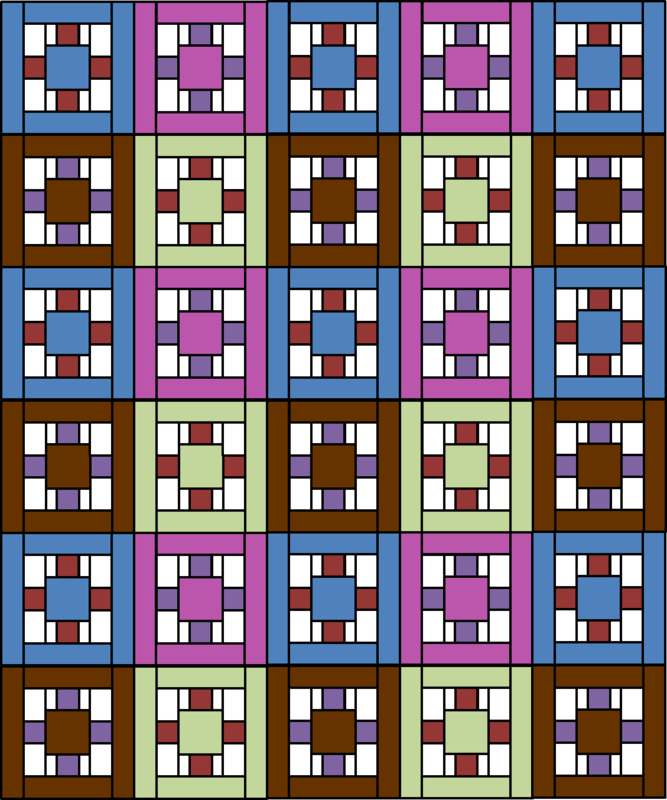 Fat Quarter shop is graciously allowing me to do a give away for a Creative Grids 30 degree ruler which is used in this pattern! 1. 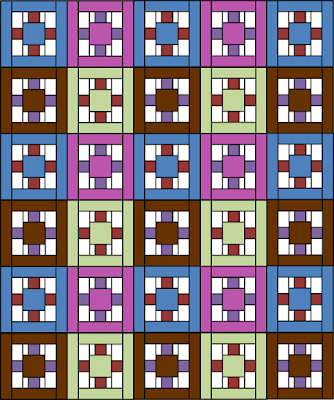 For everyone: pop over to FQS and let me know which jelly roll(s) you would use in your version of this pattern! 2. Followers of Little Bunny Quilts -- old or new -- get a second entry! Tell me that you are a follower and what color background fabric you would use in your version of the pattern. Thanks to the Fat Quarter Shop for asking me to be a part of this fun blog hop and to any new visitors! I will announce the winner of the give away on Monday! While I didn't quite get these done in October, I did get them done before the next set of directions come out on Thursday, so I think they aren't late. I was able to have a major marathon sew day yesterday because Park Ranger Husband had to work and made so much progress. Most of it is secret sewing that I can't show just yet, but I will be show those off very soon! So here are my gigantic courthouse steps blocks for the Midnight Mystery! We've only used fabric A in the square in a square units thus far, so I'm wondering how else we will use it! My fabric a is the olive green peacock feather print. Linking up with WIP Wednesday at Freshly Pieced! Don't forget that sign ups are still open for Stash Bee 2016!